Clem Maitland (Holt) is a police officer who is trying to get the police commissioner to agree to hiring a police dog. Clem uses the German shepherd Ace (Ace the Wonder Dog) on the job prove the dog’s value with police work. Using the dog backfires on a case and Clem is suspended. When his handyman friend Tom (Montague) gets accused of stealing a company’s payroll, Clem works with Ace to clear his name. Clem’s small young friend Nicey (Weidler) tags along to help solve the crimes. The day ‘Snap’ Collins (Gorcey) is released from reform school, he and his friends Steve (McDonald) and Steve (Nunn) find Frank Eastman (O’Neill) who has just tried to commit suicide. 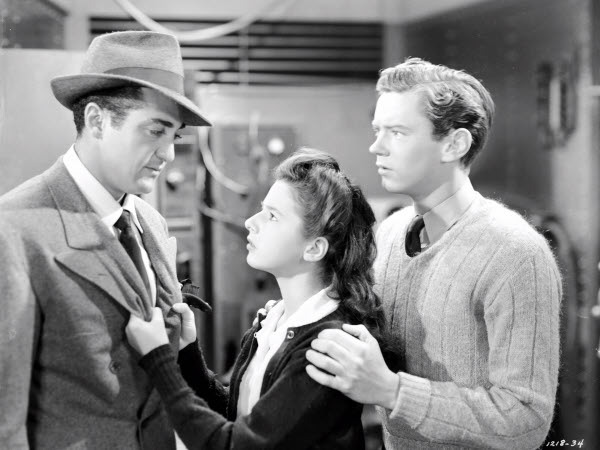 The three young men revive him just as his teenage daughter Patsy (Weidler) comes home. Eastman reveals that music he composed while he was in prison was stolen by producer Arthur Cartwright (Matthews). The teens work to put on a show so Eastman can get the credit that he deserves. This film is a very similar formula of Judy Garland and Mickey Rooney musical made around this time. The two Garland/Rooney films I particularly feel it mimics are “Babes on Broadway” (1941) and “Strike Up the Band” (1940). “Born to Sing” has the same equation of down on their teens with a “Let’s put on a show!” idea to solve all of their financial problems. Somehow, their shows always look as lavish as an Florenz Ziegfeld produced musical– better sets or costumes than I have ever seen in any community theater show. -The boys come across a deserted building that was once used for Nazi rallies in the United States. Naturally they convert this into a performance space. Child piano performer Richard Hall. -Richard Hall plays an overly serious child prodigy musician in both “Born to Sing” and “Babes on Broadway.” In both films, people see how little he is and doubt him until he blows them away at the pino. 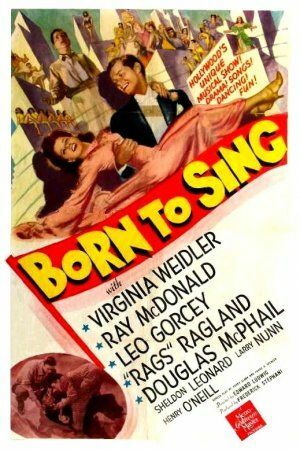 The saving factor of “Born to Sing” was that my favorite child actress, Virginia Weidler, is a grown up young woman in the film. Sadly, there is not enough Weidler to keep me happy. The other main notable factor in this film is seeing Darla Hood perform. Hood previously acted in the Our Gang/Little Rascals films. She sings a song called “Here I Am, Eight Years Old” (And my life is already over), which is rather sad and poignant coming from the perspective of a fading child actor. While “Born to Sing” isn’t a bad movie, it is just a shame that it feels like it’s pages torn out of scripts from other Garland/Rooney films and pasted together. If this truly was going to be another Garland/Rooney extravaganza as Mankiewicz said in his introduction, I wonder if there would have been some more thought put into the plot. Here is my post for my blogathon I am hosting, Gone Too Soon-dedicated to film stars who died before the age of 50. Nearly 40 bloggers have contributed to this event! Be sure to read all of the other posts here. 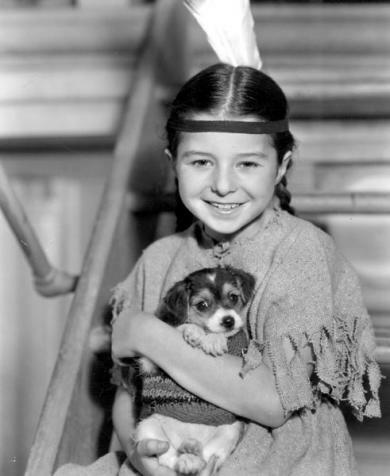 Virginia Weidler was a better child actress than Shirley Temple. There I said it, and you may call me blasphemous if you would like, but let me explain. Historically, Shirley Temple is more important. She made filmgoers happy during an economically difficult time. Even President Franklin Roosevelt was quoted as saying America couldn’t have gotten through the Depression if it hadn’t been for Shirley Temple. But aside from that, what does Shirley have besides being adorable with dimples, giggles and curls? While 1930s and 1940s child stars like Shirley Temple, Sybil Jason and Juanita Quigley (or Baby Jane) were merely cute, Virginia Weidler was a bona fide actress at a young age. Actresses like Jason acted with Warner Brothers’ top star Kay Frances but merely as Frances’s daughter with minimal screen time. Shirley Temple also acted with big named stars such as Alice Faye or Randolph Scott, but they were generally window dressing for a Temple extravaganza. Weidler held her own (and arguably stole the scene) in films with top celebrities like Joan Crawford and Norma Shearer in “The Women” (1939); Katherine Hepburn, Cary Grant and James Stewart in “The Philadelphia Story ” (1940) and even as Warren Williams’s sidekick in “The Lone Wolf Spy Hunt” (1939). Mary Haines: I’ll be doing the cooking so you know what father will get. Little Mary Haines: I know – indigestion. Weidler’s comedic comebacks in her films are as quick and sophisticated as adult lines. 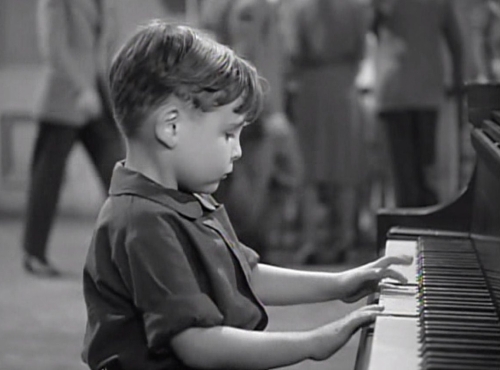 Several child actors of the time only played small roles as sons and daughters or predominately in children’s movies, such as the Andy Hardy series. While some of Weidler’s later films were teen fluff like “Babes on Broadway” (1941), “The Youngest Profession” (1943) and “Born to Sing” (1942), Weidler’s early films were more serious. She even acted alongside The Great Profile, John Barrymore, in one of his last films, “The Great Man Votes” (1939). 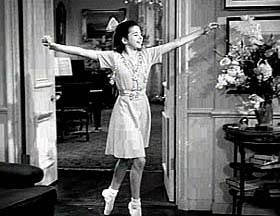 Though Weidler grew up to be a lovely young woman, her film career ended with musical “Best Foot Forward” (1943) at the age of 16. According to IMDB, her career was partially shortened when budding teen beauty Shirley Temple was signed to MGM, where Weidler was under contract. 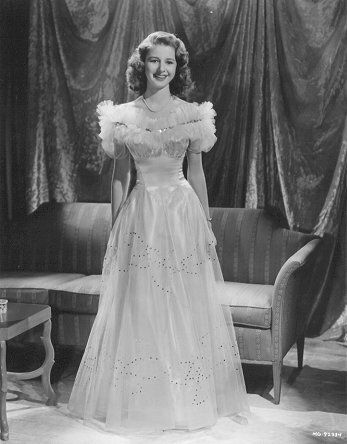 In 1947, Weidler married naval officer Lionel Krisel and she retired from show business. “[When asked about her career in later years,] Virginia would always change the subject as quickly as possible without being rude. She never watched her old movies or replied to requests for interviews. Although she was never one to criticize, I think our boys got the impression that their mother didn’t think very much of the motion picture industry,” said her husband. Weidler suffered from a heart ailment for many years and died of a heart attack in 1968 when she was only 41 years old. Though she had long since been retired from films, her snappy comebacks and wisecracking characters will always be remembered with film greats including Claudette Colbert, Bette Davis and Myrna Loy.